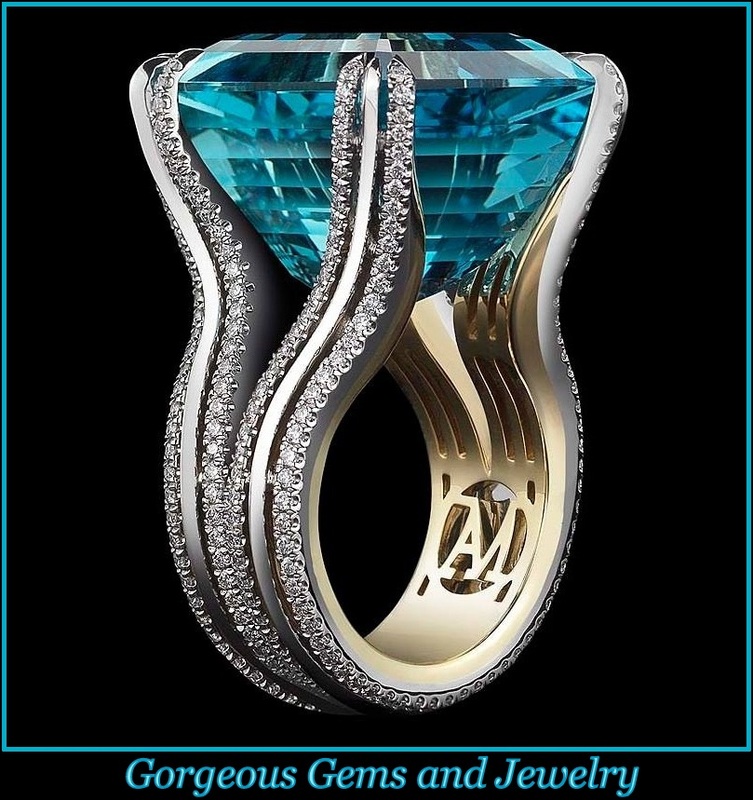 What an extraordinary sapphire and diamond ring! It’s the kind of ring that makes people stop and stare!!! The size, shape and color of the natural sapphire is mesmerizing; a light periwinkle blue with beautiful glittering clean facets! That sapphire is adorned by pave’ diamonds everywhere on this setting and it is simply sensational. 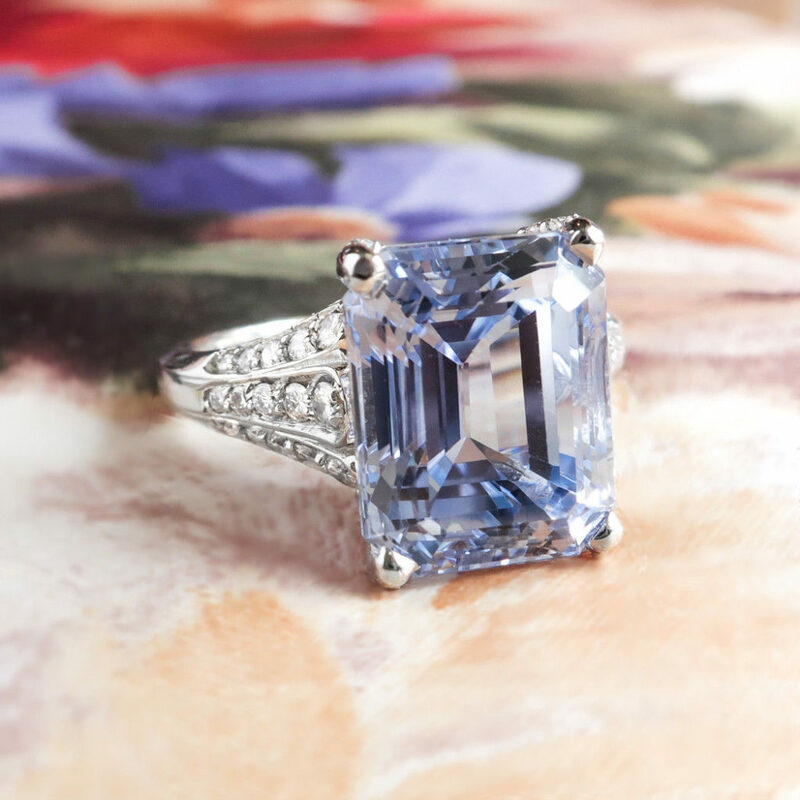 This ring features a central natural heat treated emerald cut periwinkle blue sapphire. This sapphire along with 95% of all natural sapphires are heat treated to enhance their natural color and one this size and color would be $100,000+ if non-heat treated! Heat treating is an industry standard for fine gemstones so not to worry. This estate precious gemstone and diamond ring is a fraction of what you would pay brand new (it has been independently appraised conservatively by a master graduate gemologist appraiser for $27,500.00) and looks like a huge emerald cut natural blue diamond in my opinion. Think of an emerald cut ‘Hope’ diamond resting on your finger! The central sapphire measures 11.70mm x 9.41mm x 7.35mm, weighs 8.52 carats, and is accompanied by it’s original vintage GIA Report # 3911945, dated 2-24-82. What a cool find! This is a more contemporary setting though with it’s 52 pave’ set round brilliant cut diamonds that weigh .005 to .03 carats each (G-H color, VS1-VS2 clarity) that total approximately .84ct t.w.. This ring has a grand total gemstone and diamond weight of approximately 9.36ct t.w.. This ring measures 11.66mm North to South, 9mm East to West, and is raised regally 8.55mm off the finger. This ring is tested and guaranteed platinum and stamped ‘PT’. This ring weighs 10.3 grams.